The TAPF Lifetime Achievement Award was created to recognize the U.S. professor that has contributed the most to the training of Thai Physicians. Nominations were solicted from medical schools in Thailand. The final awardee was determined by the TAPF board of directors. The 2007 TAPF Lifetime achievement award has been awarded to Dr. Lewis Braverman. He has an outstanding record of training several Thai physicians who have leading roles in the academic medical schools around Thailand. We are very pleased that Dr. Braverman has accepted this award and will travel to Thailand to volunteer his time to lecture at several schools in Bangkok. 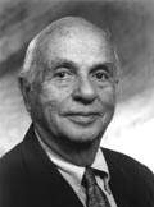 Dr. Braverman received his undergraduate degree in biology at Harvard University and his medical degree from Johns Hopkins University School of Medicine. Dr. Braverman has been the recipient of many national and international awards. He also has been principal investigator on several key research studies as well as an invited presenter at numerous medical conferences both nationally and internationally. He has published over 500 peer review manuscripts in leading medical journals. Research and clinical interests have focused on the physiology and pathophysiology of the thyroid. He has trained several leading endocrinologists in Thailand including Professor Rajata Rajatanavin, Dean of the Faculty of Medicine at Ramathibodi Hospital, Professor Boosong Ongphiphadhanakul, Associate Dean for Research at Ramathibodi Hospital, Associate Professor Sompongse Suwanvalaikorn, Chief of Endocrinology at the Faculty of Medicine at Chulalongkorn University, and Professor Thep Himathongkam, CEO of Theptarin Hospital. His visit to Thailand will continue to strengthen the relationship between Thailand and the United States medical schools and to encourage increased training and collaboration of future Thai Physicians. The visiting professors were selected by nomination and approved by the TAPF board of directors. This years group of visiting professors have a very strong track record of research funding and publications. They have a diverse background of research interests. All of the visiting professors will be volunteering their time to provide medical lectures at several medical schools in Bangkok, including Ramathibodi Hospital, Sriraj Hospital and Thammasat University. 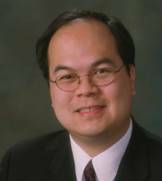 Dr. Vongpatanasin is an associate professor of medicine in the divisions of Cardiology and Hypertension at the University of Texas Southwestern Medical Center at Dallas. She graduated from Chulalongkorn University in 1990 and subsequently pursued Internal Medicine Residency and Cardiology Fellowship at the University of Texas Southwestern Medical Center. Her research is focused on neural control of circulation and the role modified by various hormones and inflammation. She received a career development award from the American College of Cardiology in 2000 and from the National Institute of Health (K23) in 2002. She is currently the principal investigator of a NIH-sponsored study to investigate the role of thiazide diuretics vs. aldosterone antagonists on cardiovascular regulation in humans. Dr. Phornphutkul is an Assistant Professor of Pediatrics at Brown University School of Medicine. She graduated from Chiangmai University School of Medicine, did her pediatric residency at the University of Michigan, Ann Arbor. She then did her Pediatric Endocrinology fellowship at Brown University, Providence, RI and Genetic Fellowship at the National Institutes of Health, Bethesda, MD. Her clinical interests include biochemical genetics, endocrine effects on genetic syndromes and therapeutic intervention for genetics disease. Her research focus is in long bone development, specifically, effects of growth factors and nutrient on molecular cascades of chondrogenesis. She received a grant from the Charles H. Foundation to support her research activities. Dr. Lopansri is an Assistant Professor of Medicine at the University of Utah in the Division of Infectious Diseases. He received his Bachelor’s Degree of Science from the University of Illinois, Champaign/Urbana and his MD degree from Loyola University Stritch School of Medicine. He completed a 3-year Internal Medicine Residency at Loyola University Medical Center and a 3-year Infectious Diseases Fellowship at the University of Utah. He is active in clinical education and research. His research interest is in host responses to infections. He is currently involved in NIH sponsored projects investigating the pathophysiology of Cerebral Malaria in African children. He collaborates with investigators in Ghana and Tanzania. Dr. Lorch is an Assistant Professor of Pediatrics at the University of Pennsylvania School of Medicine and a member of the Division of Neonatology and the Center for Outcomes Research at The Children’s Hospital of Philadelphia. His research interests focus on the causes for variations in outcomes and health care use of children, particularly premature infants. He is the principal investigator of two Federal research grants, an R01 grant from the Agency for Healthcare Research and Quality focusing on the impact of perinatal regionalization on the quality of neonatal care and an R40 grant from the Maternal and Child Health Bureau of the Health Resources and Services Administration, designed to study measures of neonatal quality of care. Dr. Lorch has published several manuscripts on quality of care, role of racial and socioeconomic disparities on the care received by premature infants, the cost and cost-effectiveness of neonatal and pediatric treatments;and the influence of geography on the length of stay of pediatric hospitalized patients. Dr. Tangpricha is an Assistant Professor of Medicine at Emory University School of Medicine in the Division of Endocrinology, Diabetes & Lipids. His research interests include vitamin D metabolism and osteoporosis. He is the principal investigator on a grant from the National Institutes of Health (NIH) to study the role of T-cells in post-menopausal osteoporosis. He also has grant money from private foundations including the UV Foundation, Atlanta Research and Education Foundation, and Proctor and Gamble to study vitamin D. This will be Dr. Tangpricha’s second trip to Thailand to help organize the visiting professors exchange program. The TAPF Thai Medical Resident Career award is given to the most outstanding applicant graduating from a medical school in Thailand. The award is given to the resident’s medical school to sponsor a research or clinical rotation in the United States. Applications distributed to all of the major medical schools in Thailand. The final candidate was decided by the TAPF board of directors. Dr. Pupaibool graduated from the Faculty of Medicine, Chulalongkorn University with first-class honors in 1998. His USMLE scores are in the 10 percentile for both steps 1 and 2. After medical school, he served as a physician in a rural area in the northeastern part of Thailand at the border of Thailand-Laos for 3 years. He completed his Internal Medicine residency at Chulalongkorn University hospital and served as chief medical resident. He is currently a third-year infectious diseases fellow at the Chulalongkorn University Hospital. 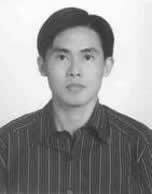 His research interest is on dengue virus and has published numerous abstracts and a manuscript on this topic. The TAPF Career Development Award will allow Dr. Pupaibool to continue his studies in infectious diseases in the United States. He will initially complete a clinical observership at Albert Einstein Medical Center in Philadelphia prior to Internal Medicine Training in the United States. He plans to participate in educational rounds, conferences and research activities during his observership period. He plans to return to Thailand after completion of his US medical training to become a member of the academic faculty at a major medical school. Dr. Puapaibool matchd at Rochester General Hospital in Internal Medicine and will start his internship in July 2007.